With Christmas fast approaching everyone is turning their attention to buying gifts! I know I certainly am, I actually found this Christmas harder than previous ones, not because there was nothing my girls wanted, but because there were so many suitable items it was hard to pick what they would love the most. I thought I would share a preschooler gift guide with you - most of these things I actually have on my list for Emily, as I know that she will love them. 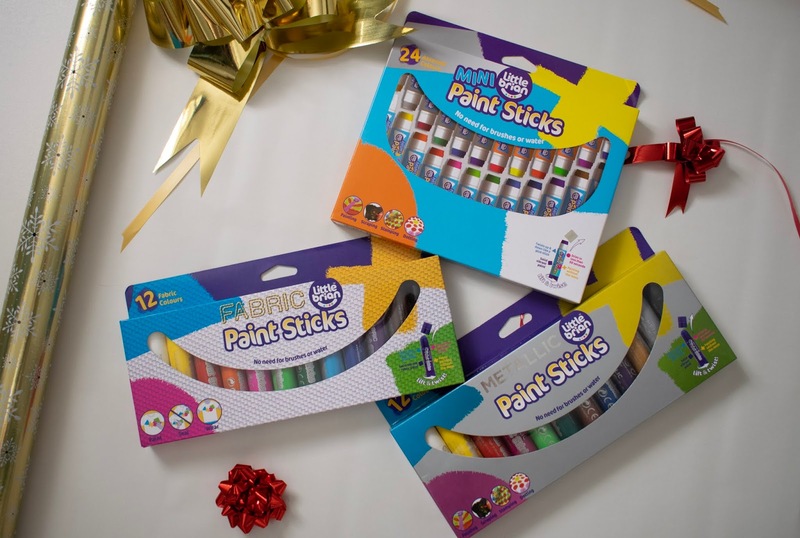 Little Brain Paint Sticks - these are actually really popular in our household, both of my girls absolutely love the paint sticks and often ask to get them out. They are mess free and make beautiful pictures. This year we actually used to fabric paint sticks to create presents for their grandparents which you can see here. I'd definitely recommend these, and have actually brought a few extra sets to gift to Emily's friends for Christmas! Club Petz Besty - If you have animal obsessed children like I do, then these club petz by IMC toys will definitely appeal to you. 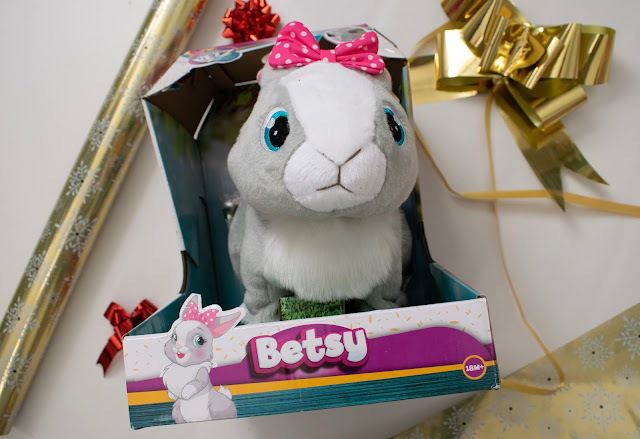 I got Betsy bunny for Emily this year, she is the most adorable bunny who loves playing with you, she makes cute sounds as you cuddle her, you can watch her ears move as she hops around the room like a real bunny. She is going to be a really popular toy in our household this year. 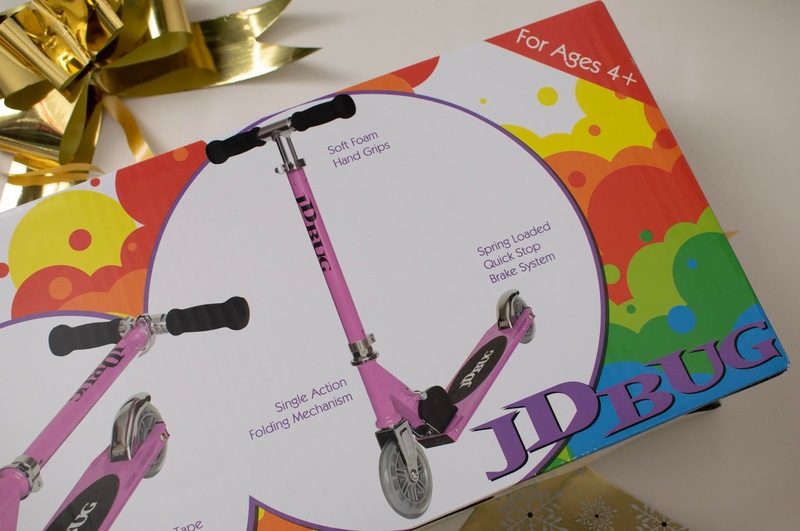 JD Bug Scooter - High on Emily's list this Christmas was a new 'big girl' scooter, she currently has a three-wheeled one which she has long grown out of and is desperate for a new one. This pastel pink foldable scooter is going to make her so happy this year, especially as it is her favourite colour. I love that it is really easy to fold down, and will fit perfectly underneath the pushchair when we are heading out to the park! 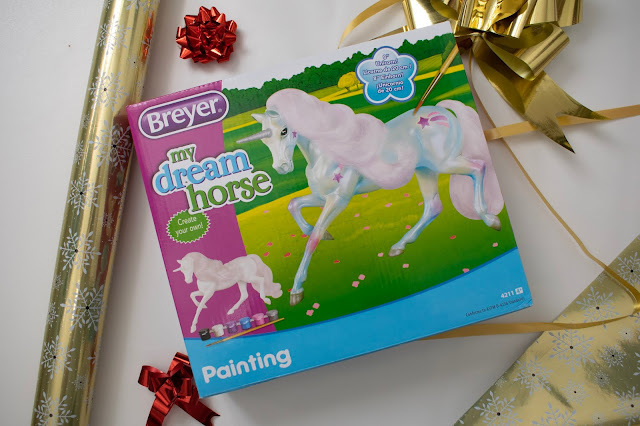 Breyer paint your own unicorn - Like most children, mine is a little obsessed with unicorns. She absolutely loves arts and crafts so I knew that this paint your own unicorn would be the perfect gift for her. I actually picked up a second one for Emily's best friend, as I knew she would love it too. I can't wait for her to open this on Christmas day, no doubt we will end up painting during the evening. 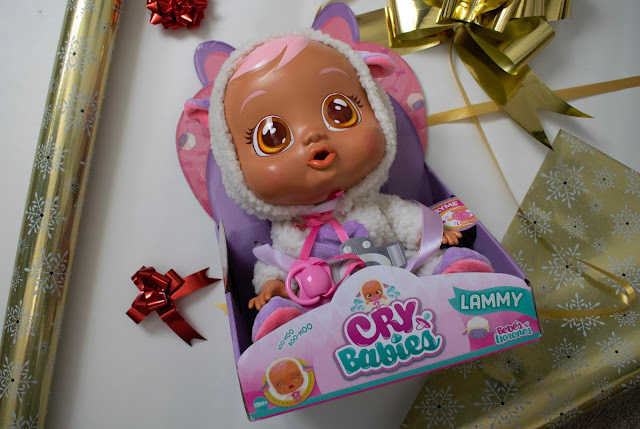 Cry Babies Lammy - Both of my girls are a little obsessed with babies, they have a huge selection of different types. Emily has been talking about getting a cry baby for quite some time, and I know that she would love her very own cry baby for Christmas. You can give Lammy her dummy and cuddle her to stop her from crying. She cries real water and makes realistic baby noises when you take away her dummy. Her limbs are also moveable, meaning the girls will be able to lay her down in their baby beds. 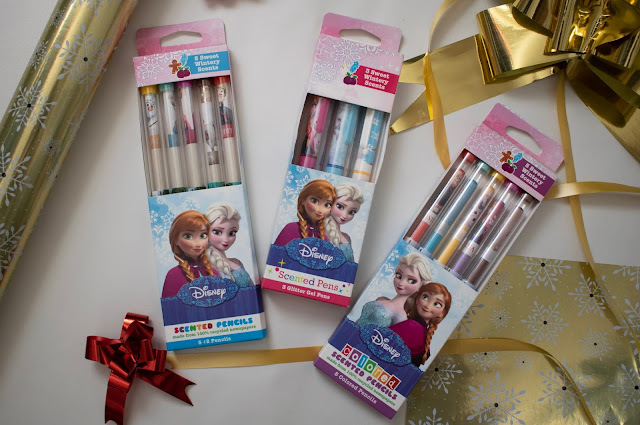 Scentco Frozen range - Like most children Emily loves being creative, whether that is drawing, colouring or writing little notes. She has been constantly practising her letters lately, ready for her starting school in September. With that in mind, she asked for some more pens. These Scented Pencils, pens and coloured pencils are going to be a real hit with Emily. To go with the new pens and pencils, they also do these really cute mini notebooks - they are the perfect size for popping into there bags, and come with a mini pen too. 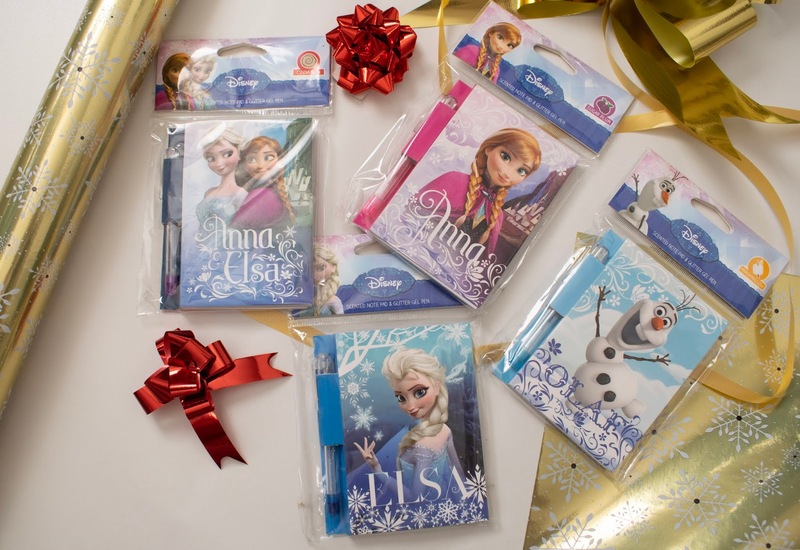 There is four different designs to collect, and they'd also make great stocking fillers. 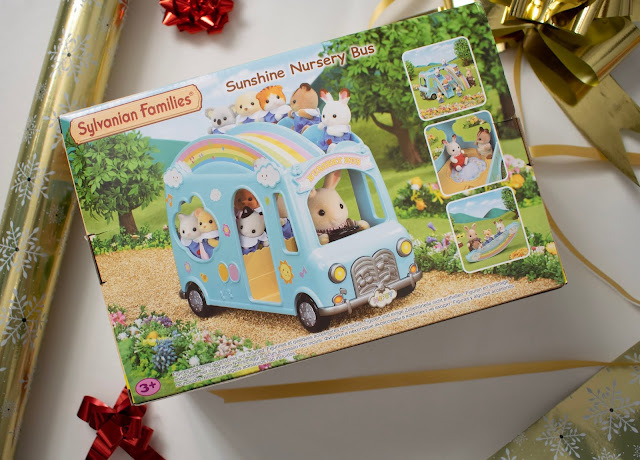 Sylvanian Families Sunshine nursery bus - Both the girls are obsessed with Sylvanian families, and I know that the nursery bus will be a welcomed addition to there collection. It has a rainbow and music theme, with removable rainbow chairs on the upper deck, which can also turn into a seesaw. 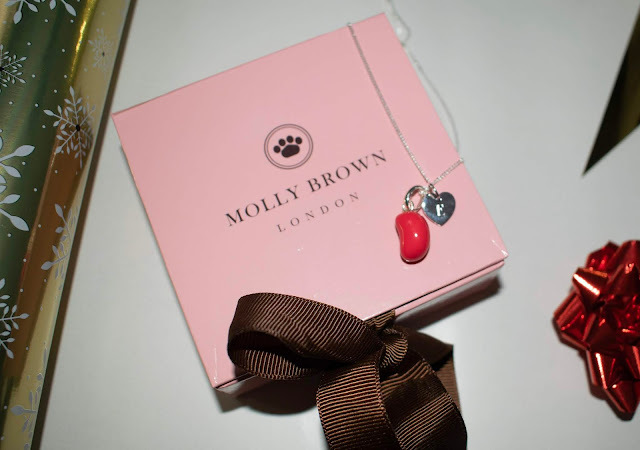 Molly Brown Jellybean Necklace - Molly Brown has a beautiful selection of children's necklaces. Emily is getting to the age where she wants to wear pretty necklaces and bracelets, with that in mind I knew I wanted to get her a beautiful necklace to wear and treasure. This iconic raspberry jelly bean necklace caught my eye, it also has a personalised heart charm too. Galt Chalk Books - Emily is coming of school age, and with that in mind, I have been trying to find things that she will enjoy but also learn from. 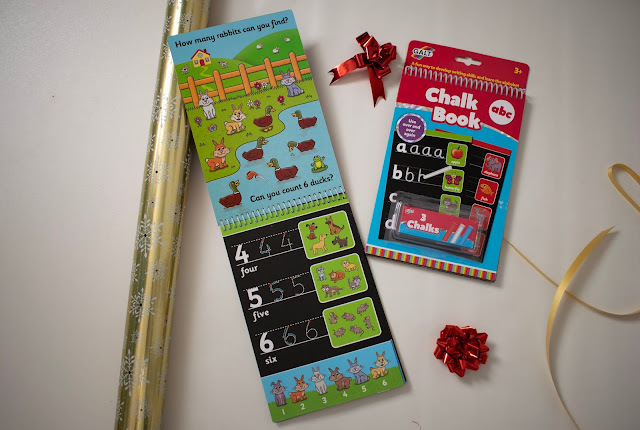 These chalk ABC and 123 books will make the perfect gifts. It's a fun way to learn numbers and letters while developing writing skills. You can trace the numbers or letters, then simply wipe the pages clean to reuse over and over again. 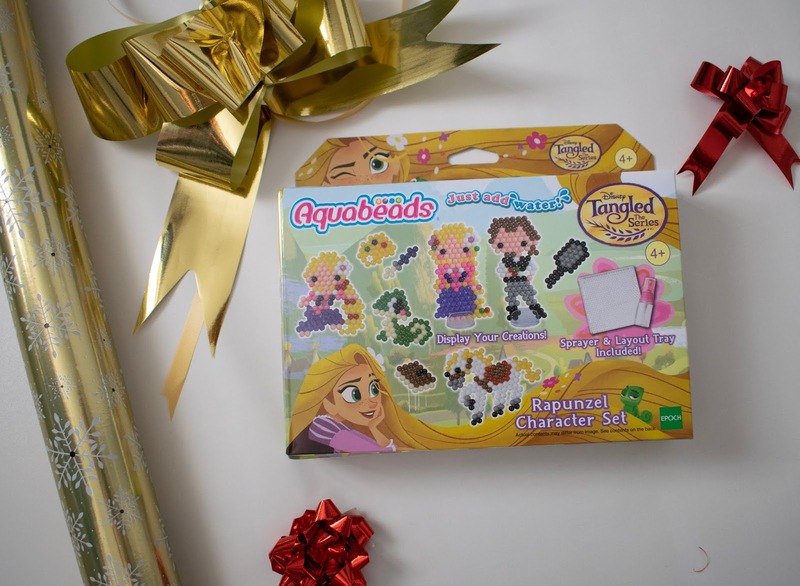 Aquabeads Rapunzel character set - This Rapunzel set is the perfect gift to give to a child who hasn't yet tried aqua beads. It comes with a layout tray, sprayer, template sheets, 2 display stands and over 600 beads in 11 different colours. It's the perfect gift for a child who loves crafting, and/or Rapunzel! Gelli Worlds Fantasy Pack - Emily is a huge fan of Gelli, slime, or anything that is gooey and she can play with. I thought that this fantasy pack would be perfect for her. It comes with a little inflatable pool and some fantasy figures. You are able to make the Gelli int he inflatable mini pool, and then use the characters to create little role play worlds. I know that these will be really popular among Emily's friends too. Science MAD! Chemistry Lab - This chemistry lab is perfect for any child who loves to know how things work. It comes with a variety of different chemicals in plastic containers (with safety caps) and over 20 pieces of equipment including test tubes, beaks and safety goggles. It also has an instruction book, detailing experiments, some of which require further chemicals and household items which are listed. 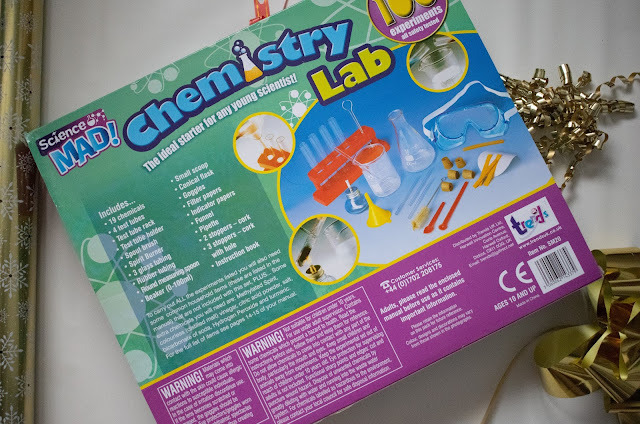 It's perfect for a science-mad child, and encouraging learning!